From Brittany and Normandy in the north, via the Loire, Burgundy and the Auvergne to the Pyrenees and Provence in the south, the cooking of regional France is justly renowned for the quality of its ingredients, the delicious dishes created from them and the infinite variety of local wines to accompany them. This classic collection of heritage recipes represents the best of French home cooking as passed down through generations of food-loving families. 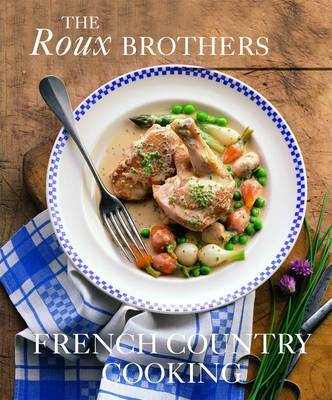 Inspired by their mother, who passed on the secrets of her native Normandy cuisine, the book has been put together by Michel and Albert Roux, founders of The Waterside Inn and Le Gavroche. Divided into twelve regional chapters, each introduction gives an overview of the region and its culinary traditions. A dozen typical recipes follow and each chapter concludes with a list of ingredients indigenous to that area. The result is a superb collection of over 150 recipes as diverse and interesting as the regions and gastronomic backgrounds from which they came.